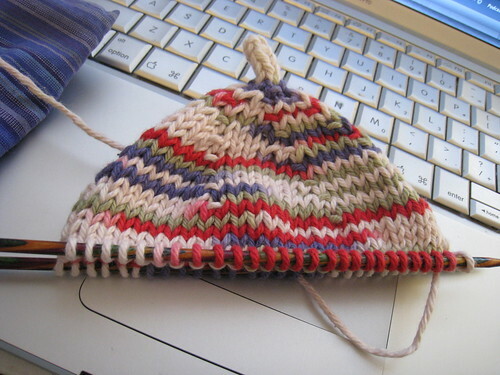 of a teeny baby hat. It turns out I don’t have nearly as much of that yarn as I thought I did, but still, it kept my fingers busy and my mind active while I sat in the waiting room. I feel bad for E5 though. He was such a little trooper and waited so patiently. Also, I used the free wi-fi in the office to download angry birds for him to play, so that helped. Knitting and wi-fi, 2 things I cannot live without. And, it turns out, I can live without as much asthma medication as I have been taking. So it’s a WIN all around!